On their second EP this year, Broken Social Scene deliver an unexciting project, despite some bright moments. 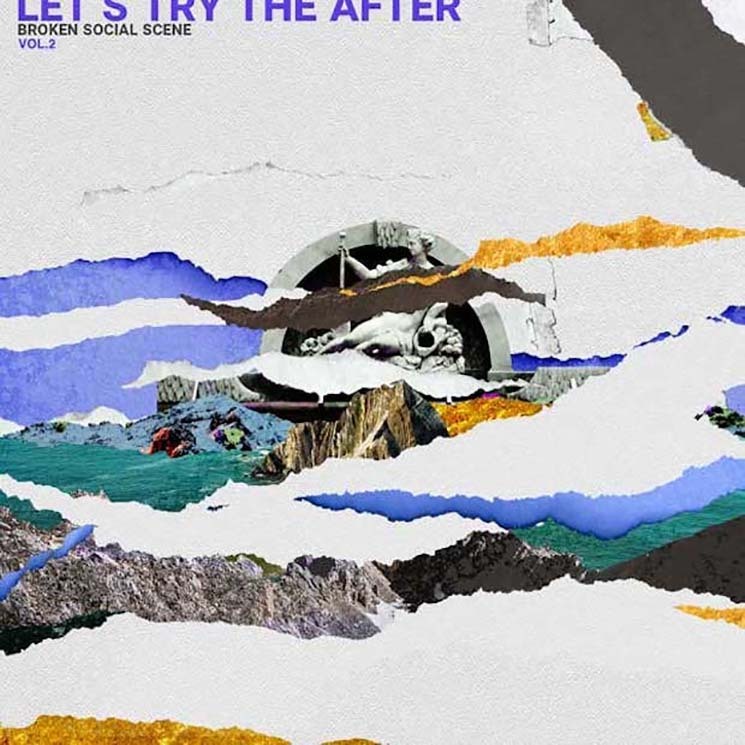 Let's Try The After – Vol. 2 is an unfortunate return to the lack of novelty that plagued them prior to 2017's Hug of Thunder. That album had new classics like "Mouth Guards of the Apocalypse," while Vol. 1 of this EP series had great post-rock tracks like "Remember Me Young" and powerful vocals from Ariel Engle on "1972." Vol. 2 brings less to the table. At their best, Broken Social Scene feel urgent and hopeful; the listener longs to be in their studio while they work out intricate riffs and melodies. At their worst, they can feel overly didactic, part of the musical establishment. There is not enough energy here for one to latch onto and so the EP passes uneventfully. The title track, for example, is a boring bit of poetry paired with an ineffective soundscape. Other moments of soundscape are also unfortunate — an opening seagull cry makes it sound like white noise on a sleep app. "Can't Find My Heart" is a brighter point, with a great chorus and good use of saxophone and guitar. "Big Couches" is a solid track marred by a bad Auto-Tune experiment.